MCC’s Community Department was created in 2013 to bring together the many goodwill initiatives with which the Club has become involved in recent years. Whether introducing cricket to inner-city London schoolchildren, providing work experience opportunities and interview training for former addicts and ex-offenders or holding coaching clinics for local youngsters in far-flung corners of the word, MCC has a strong commitment to working for the benefit of its communities at home and abroad. Our core area of focus is the communities closest to Lord’s and the surrounding areas which fall under the governance of the City of Westminster. 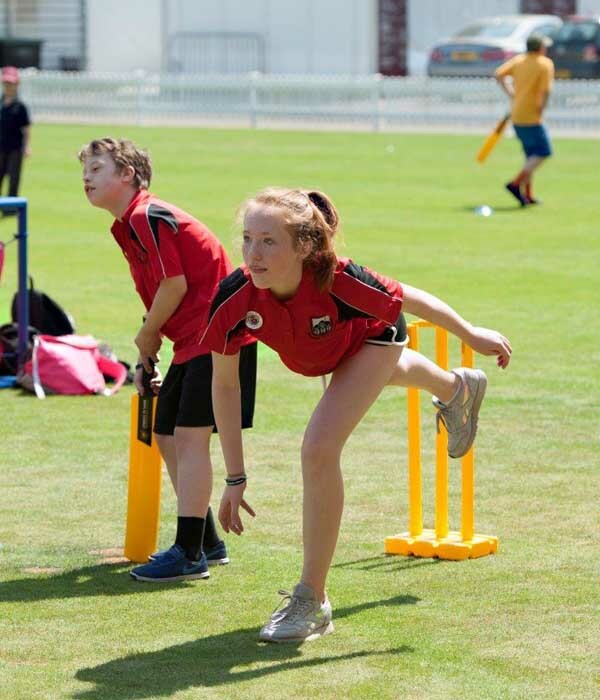 Many of our programmes have wider reach, however, and we partner with like-minded organisations around the UK and overseas in a combined effort to support the development of cricket wherever it is required. We use cricket as a tool to improve the health and wellbeing of those who live in the local community. MCC Community initiatives aim to increase physical activity in both young and older people, to stimulate the mind, and to tackle social isolation. In association with Sporting Memories Network, regular Reminiscence Sessions are held for local people who are living with dementia. These sessions allow our visitors and their carers to enjoy different areas of the Ground and provide a welcoming environment for memories and stories to be shared over afternoon tea. Advocating the benefits of physical and mental activities for older people, regular open-age activity sessions are held in the MCC Cricket Academy which involve a variety of games, including bowls, chess and backgammon. These sessions give our neighbouring communities the chance to try something new and to meet other local people in a fun and social environment. The brainchild of Westminster City Council, Silver Sunday is an annual event open to older people to help combat social isolation. 250 local residents aged over 65 are invited to enjoy a tour of Lord’s and afternoon tea and are given the opportunity to play in or watch an intergenerational cricket match on the Nursery Ground. MCC Community invites 500 local residents to enjoy a Memories Match, free of charge, which is held during a day of a Middlesex County Championship match. The invitation also includes a tour of the ground. As well as delivering coaching sessions in local schools, we run open community cricket sessions, in partnership with Middlesex Cricket, at Paddington Recreation Ground, Regent’s Park and Westbourne Green throughout the summer. In partnership with Forward Trust, MCC Community runs workshops for people who have been involved with crime and/ or have suffered from drug and alcohol dependence, and who are looking to enhance their recovery and to gain employment. The programme includes work experience, interview technique workshops and apprentice programmes, which help participants to improve their skills, increase their confidence and to build for themselves a positive and productive future. Launched in 2016 and set up by the Royal Foundation, Coach Core is an apprenticeship programme which provides training for young people who aspire to become sport coaches. MCC has recruited four Apprentice Coaches through the scheme, who have helped deliver coaching classes and cricket events in local Westminster schools, as well as coaching sessions held in the M Cricket Academy. 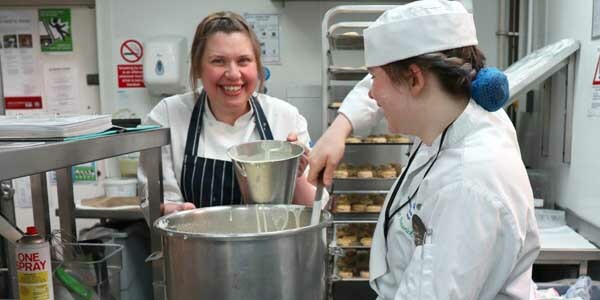 Two apprentices have gained permanent employment with MCC through the programme. 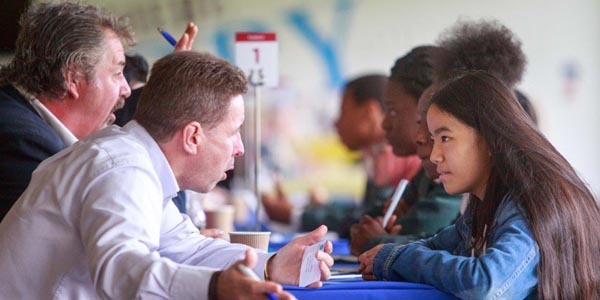 A collaboration between MCC and Team London (the Mayor of London’s volunteering programme), the speed networking event gives the opportunity for 250 young people from schools in London to meet with 250 business volunteers from a variety of sectors. Each young person is given a limited amount of time to seek advice and discuss their career journeys, skills and aspirations with a volunteer before moving on to speak to others from different industries. Together with The Challenge Network, MCC Community runs workshops for young people to improve their skills of speaking to an audience and increase their confidence ahead of facing a panel of judges to deliver a presentation. Committed to giving local students an exciting sporting experience, MCC Community Coaches deliver regular cricket sessions throughout the school year. Students gain an understanding of the sport while developing new skills and consolidating existing ones. Schools in Westminster are offered a free-of-charge session which combines cricket with a national curriculum subject. Designed to use maths in a real-life context, students take part in a cricket-based PE lesson, then analyse their data using ground-breaking technology. A half-day visit to the Home of Cricket, incorporating a fun cricket session and a tour of Lord’s. In an initiative with Kids in Museums - a charity which supports museums welcoming young people and families - local primary school children get the opportunity to take over the MCC Museum and be a Tour Guide for the day. The children get to work alongside Lord’s Tour Guides to show visitors, including members of their families, around the ground. Read about our Spirit of Cricket Day. Middlesex County Cricket Club have been playing home games at Lord’s since 1877, and the two clubs have always enjoyed a close relationship. Through our partnership in 2018, over 3,000 young people were given the opportunity to visit Lord’s and watch Middlesex in action as well as take part in organised activities to develop their own cricket skills. With a shared objective of facilitating the playing of cricket in state schools, Chance to Shine is a natural partner for MCC Community. Together, we have hosted Spirit of Cricket Days at Lord’s which have brought hundreds of children to the Ground on each occasion. We are also joint-Guinness World Record holders for the world’s largest cricket lesson in one place! We partner with primary and secondary state schools in the wards closest to Lord’s, to which MCC Community Coaches pay regular visits. MCC Community has collaborated with our local Archive Centre to research the details of significant moments in local history and, in partnership with MOD Theatre Company, transform them into educational plays. Recent productions staged with the help of local schoolchildren include “A Candle for Major Booth” which commemorated the centenary of the Battle of the Somme and another which marked the anniversary of the Battle of Waterloo by retelling the story of Samuel Godley, an amateur cricketer and soldier who served in the 2nd Regiment of Life Guards. With its stated mission of delivering life changing services to some of the most vulnerable and marginalised people in society, the Forward Trust has been the ideal partner for MCC with which to develop programmes to support local people who have fallen into a life of crime and/or addiction. Our work experience, interview technique workshops and apprenticeship programmes help former addicts to break the cycle and move forward with their lives. MCC Community partners with WAES to deliver work experience projects, including Health & Safety and Food Safety as well as Customer Service qualifications. The Mayor of London’s volunteering programme creates opportunities for Londoners to volunteer and encourages businesses in all boroughs of the capital to support their staff to give back. MCC partners with them to help young people explore future career opportunities. The charity led by Princes William and Harry together with the Duchesses of Cambridge and Sussex launched its Coach Core programme in 2012 as part of the legacy of the London Olympics. In additional, MCC is part of the Coach Core consortium. Since 2013, MCC Community has collaborated with Sporting Memories Network to offer reminiscence sessions at Lord’s for local people who are living with dementia. Sport can be a very powerful means of unlocking memories and encouraging information sharing among people for whom recalling present day events is challenging, and our regular visitors enjoy these sessions facilitated in partnership with SMN.